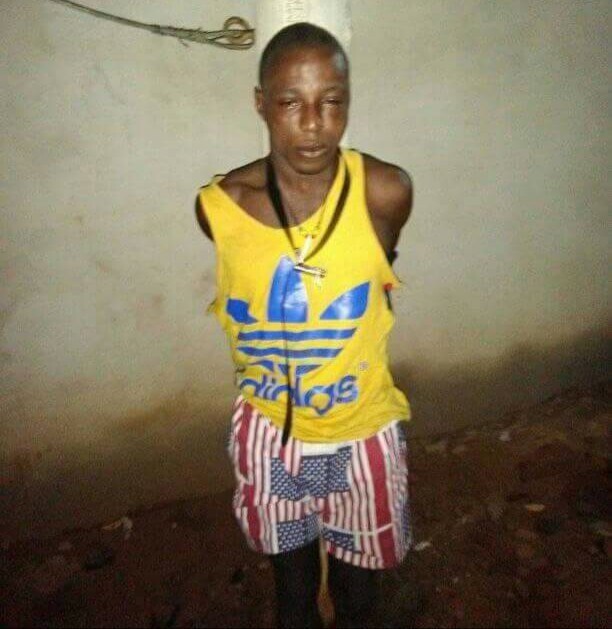 It was the end of the road for a notorious thief after he was caught stealing a phone inside a Mosque in Abaji, Abuja . The suspect was nabbed around 5am on Monday, July 30, at Road Safety quarters. A middle aged man today kidnapped a set of male twin toddlers at the Ekeki Motor Park area of Yenagoa, the Bayelsa state capital. According to reports, the mother of the twins, Taiwo and Kehinde, Mrs Modupe Joseph, roasts corn along the road. Justice Muhammed Idris of the Federal High Court sitting in Ikoyi, Lagos, on Tuesday, July 31, 2018, dismissed a no-case submission filed by a former governor of Abia State, Orji Uzor Kalu, in his bid to stop his trial over an alleged N3.2bn fraud. As though being abandoned by his birth mother were not bad enough, a young boy has had to suffer child abuse and horrible injuries inflicted on him by his grandmother in Lagos. The boy's plight was brought to light after a good Samaritan saw him with scars all over his back from being flogged numerous times. The good Samaritan, Didi Moon, revealed that the boy also gets starved by his grandmother in addition to the beatings. Actress Oma Nnadi and her hubby, Noni Enem, have welcomed their first child, a girl. Nollywood actress, Stella Damasus took to her Instagram page today to wish her movie director husband, Daniel a happy birthday. She posted a number of photos of her husband and went on say words can’t describe the way she feels for him rather she would wait to show him in the other room. Emmanuel Luka pictured above is the latest victim of SARS brutality. According to the co-ordinator of the #ENDSARS campaign, @segalink, Emmanuel was allegedly beaten to death by some SARS officers in Biliri village in Gombe state. Self-acclaimed Nigerian male Barbie. Bobrisky has given himself a new female name. He said his second name will now be Adufe. Robbers said to be dressed in SARS uniform, have reportedly robbed a man of N5million in Port-Harcourt, Rivers State capital. Twitter user @ikwerreman who shared the report disclosed that the men who wore SARS uniform but with no mask on, trailed the man from the bank where he made the withdrawal. A Nigerian lady, Rachel Fubara who once solicited for help on social media to treat a cancerous growth on her thigh,is dead. According to Fejiro Oliver, who was the brain behind soliciting for help for Racheal Fubara, said she died in India while undergoing treatment. Three children have died of drowning while two others have gone missing in a devastating flood following three days of downpour that wrecked havoc at Okpoko in Ogbaru Local Government Area of Anambra State. The flood also damaged at least 10 buildings in the area and properties worth over N100 million were lost. In Saudi Arabia, A couple were arrested after man kisses his wife and then posted footage on social media. 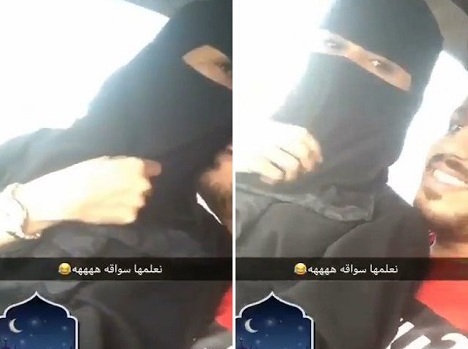 It was captioned ‘teaching her how to drive’ then posted on Snapchat, but the incident has landed them in trouble. The National Agency for Food and Drug Administration and Control (NAFDAC) has seized fake medical devices, cosmetics, expired drugs and empty labels worth N5.804 million at the Akanu Ibiam International Airport, Enugu. A Minna Chief Magistrates’ Court on Tuesday sentenced a 32-year-old man, Tanko Mohammed, to three years’ imprisonment for parading himself as a military man and defrauding unsuspecting members of the public of N7m under the pretext of job placement in the Nigeria Army. A suspected former bodyguard of deceased al-Qaeda leader, Osama bin Laden, who was deported from Germany earlier this month is still under investigation. A Nigerian man has recounted all that happened when he returned $3k, which was mistakenly transferred to his account by Bank of America. According to the Nigerian man who walked into the bank with a cheque for the money, the manager of the bank couldn’t stop thanking him and the owner of the money also had a teary moment. Asisat Oshoala, Super Falcons player who made headlines over the weekend for buying her parents a mansion in Costain area of Lagos, has thrown a housewarming party over the great feat. The house warming party was attended by the footballer’s family members, friends and loved ones. No fewer than 129 prisoners were granted pardon in three prisons in Enugu State by the state’s Chief Judge, Justice Priscilla Emehelu as she concludes the 2018 jail delivery sessions. The suspects and the stolen properties at the police station in Lagos. A couple, Mr and Mrs Uroye Teddy, their son, Tega Teddy and his girlfriend, Karima Edom have been arrested by the police at Langbasa, Ajah, Lagos southwest Nigeria, for burglary and theft. The Nigeria Security and Civil Defence Corps (NSCDC) in Ondo State has arrested four men for allegedly operating as guards in an illegal private security outfit. According to the Lagos Government in a press release signed by the Chief Press Secretary, Habib Aruna, the claim was totally untrue and misleading. The statement disclosed that the Commissioner for Home Affairs, Mr. Abdulateef Abdulhakeem, made the clarification while speaking on a television programme monitored in Lagos. Below are pictures of a 5-year-old kid named Lil Richie who has tattoos, wears gold chains and posts pictures on Instagram that show him living like an adult. He’s a recording artiste, video vixen, dancer and a drip god. The Federal Road Safety Corps (FRSC) on Tuesday said it recovered a stolen articulated truck with registration number NSR 141 ZX at the Sango -Ota Toll Gate in Ogun. Jude Okoye has taken to his social media page to celebrate his wife, Ifeoma who turned a year older today. Port Harcourt first son, Duncan Mighty is currently trending on Twitter, as Nigerians are arguing about his hit song with Wizkid. Duncan Mighty is currently the rave of the moment following the success of the song, ‘Fake Love’ with Wizkid, and lots of people are saying the Starboy made him relevant again. Others are saying he has always been relevant before the song with Wizkid. 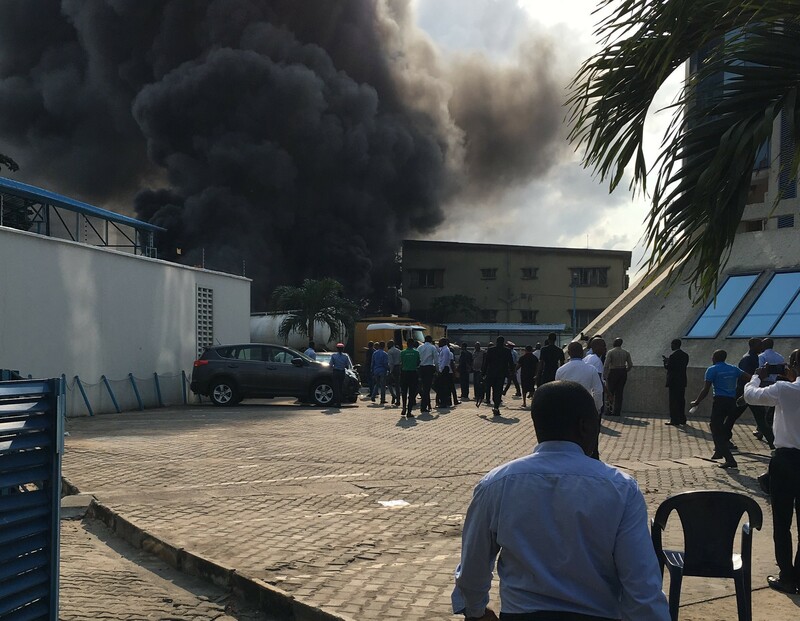 There's been a fire outbreak around the Ecobank head office in Victoria Island, Lagos. The fire incident occurred today at about 8: 40 a.m. when a diesel tanker was offloading diesel close to a generator that was turned on. As a result, there was an explosion. According to recent buzz on social media, it has been revealed that Linda Ikeji’s sister, Sandra Ikeji, has been taken off the singles’ market as she just got engaged to her heartthrob. A 21 year old lady has been arrested by the Lagos State Police Command for pushing her boyfriend from a window of a storey building in Ajagbandi area of Lagos, while trying to prevent him from searching through her phone. The deceased, Wilson Henry, a Civil Engineering graduate from University of Benin, had his neck and complete spinal cord broken , as he landed on the fence of the building before resting on the septic tank. Mohammed Abubakar who joined Air Azman as a cleaner 24 years ago, is keeping his dream of becoming an aviation expert alive as he was recently decorated as a captain. The National Agency for the Prohibition of Trafficking in Persons (NAPTIP) says it is stepping up measures to prevent, combat and eradicate trafficking in persons in the country. Wizkid who was seen with Diddy few days ago in the United States, has announced news of an endorsement deal with Ciroc to his fans. The singer made the announcement in a series of tweets where he said; New Deal Alert! Officially with CIROC!!! Lets get it!! Big bag alert! The Police Command in Enugu State says it has taken its Police Campaign Against Cultism and Other Vices (POCACOV) to markets, schools, NYSC Orientation camp and communities, among other areas. A Ghanaian marriage counselor and pastor, Counsellor Lutterodt, who is well-known for his controversial stance on issues about celebrities, has advised rich men to practice polygamy.